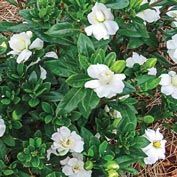 Double Mint Gardenia | Gurney's Seed & Nursery Co. 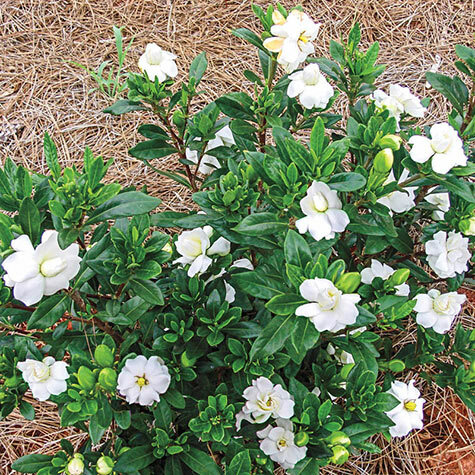 Double Mint Gardenia has an exceedingly fragrant, romantic aroma. Plant near a pathway and prepare for Double Mint's perfume like fragrance to cast a spell on your guests! Starts blooming in late May and reblooms throughout the summer into fall. 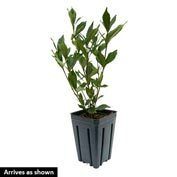 Compact foliage is 3"-4' tall at maturity. Zones 7-9. Light Required: They are best planted in light to partial shade; preferably with morning sun and afternoon shade. Comments: It has an exceedingly fragrant, romantic aroma. Plant near a pathway and prepare for Double Mint's perfume-like fragrance to cast a spell on your spouse! Starts blooming in late May and reblooms throughout the summer into fall. Compact foliage is 3-4' tall at maturity. Potted. Zones 7-9.